The Polish government’s plans to reform the country’s Supreme Court, which have sparked protests over a perceived erosion of the separation of powers and the rule of law, also have significant potential consequences for media freedom, Polish journalists and media experts say. 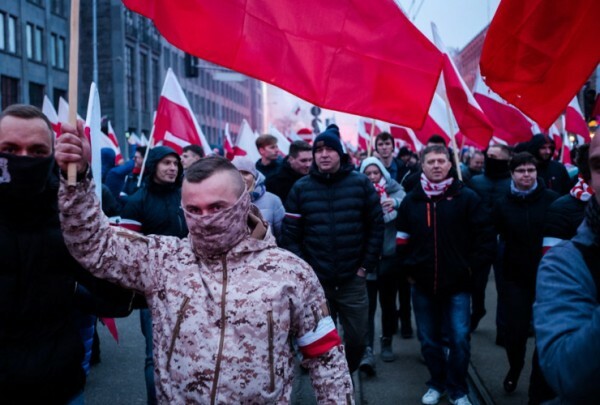 Last week, Poland’s parliament introduced a series of measures that observers, including the European Union, fear will undermine judicial independence and, according to the opposition, lead to a complete subjugation of the judicial system to the ruling party. Lawmakers on July 12 swiftly passed two bills introduced without notice on the same day. The first gives the parliament, controlled by the governing Law and Justice (PiS) party, greater control over the National Council of the Judiciary (NCJ), a body that appoints judges. The second grants the minister of justice the right to replace heads of ordinary courts within the next six months. A third bill, now under debate and awaiting a vote, includes measures that critics say would bring the Supreme Court under government control, a possibility that yesterday led the European Commission to raise the spectre of suspending Poland’s EU voting rights. Polish journalists and media experts fear that the government’s apparent attempt to assert more influence over the judiciary will further erode the already worrying state of press freedom in the country, especially if courts become less willing to protect fundamental rights such as freedom of expression. Dorota Głowacka, coordinator of the Observatory of Media Freedom in Poland, told IPI that media could be among those most vulnerable to the effects of the new laws, noting that Poland maintains a number of criminal and civil law provisions – particularly those related to defamation and insult – that are “quite widely used by politicians or public officials against journalists”. Last week, IPI urged Polish prosecutors to drop a criminal case brought by the country’s defence minister, Antoni Macierewicz, against a prominent investigative journalist whose recent book outlined alleged links between the defence minister’s associates, Russian intelligence services and organised crime. Among other charges, the journalist, Tomasz Piątek, is accused of insulting a “constitutional authority of the Republic of Poland”, an offence that carries a possible two-year prison term. Głowacka also expressed concern over the Supreme Court’s willingness to hold the ruling party’s legislative agenda in check after the proposed reform. The Court has recently criticised laws restricting free expression, such as a proposed provision introducing civil sanctions for “defamation” of the Polish state and Polish nation. Notably, PiS plans to pass a sweeping reform to Poland’s media legislation by the end of the year. “Since PiS’s majority in parliament allows them to basically adopt any law, the independent courts have so far been the only hope to successfully question harmful effects these reforms may have on media and freedom of expression,” Głowacka said. 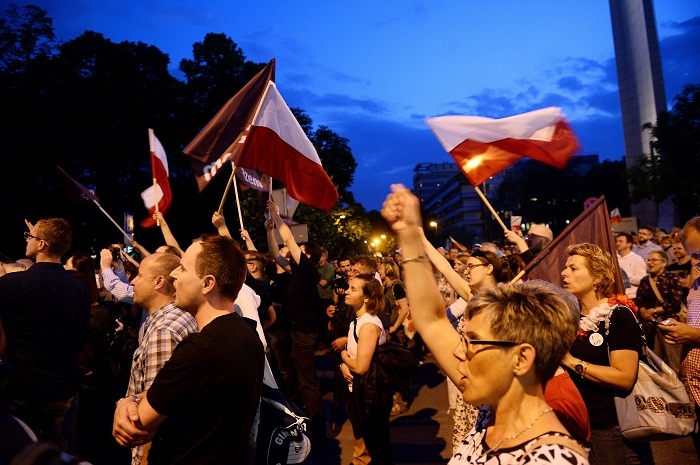 More broadly, Polish journalists see the judicial changes as a further sign of the government’s intentions to control all institutions, such as the media. PiS had already drawn international criticism in 2015 for legislation that allowed it to assert control over the country’s public broadcaster. The National Media Council, created in 2016 and controlled by PiS lawmakers, is in charge of appointing the management of state-owned broadcaster TVP, Polish Radio and the PAP news agency. 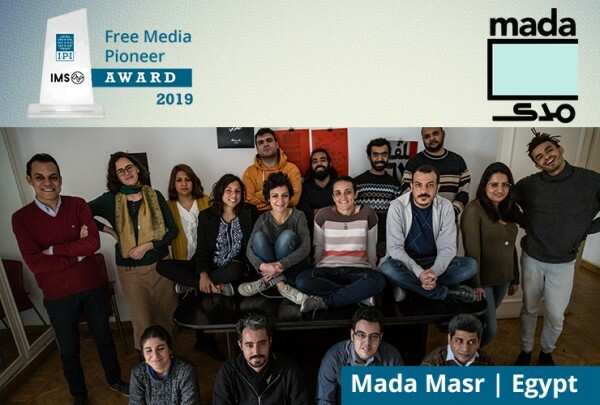 Last December, the party was forced to step back from imposing restrictions on journalists’ access to parliament after the plans were met with large street protests. “It is obvious that press freedom is next in line,” Andrzej Krajewski, a member of the foreign affairs committee of the Society of Journalists, an independent journalist group, told IPI. He predicted that “the government’s next move will be squeezing the media”. Krajewski expressed fears that with the courts out of the way, a move against the media could come in the form of suspending broadcast licenses for companies that do not fall in line with government views. The licenses are issued by the National Broadcasting Council, which oversees the conduct of public radio and television. Michał Broniatowski, Warsaw bureau chief for Politico, echoed the possibility of growing government pressure to restrict critical journalism. “After such a latent attack on the constitution, it is not impossible that they would go after the media next,” he said. Both Broniatowski and Krajewski said they believed the government would also aim to limit what it considers harmful foreign influence in Polish media. One model, Broniatowski noted, could be Russian legislation limiting foreign ownership in Russian media outlets to 20 percent.